Download ppt "Meets the needs of citizens"
Welcome to the COMMISSIONER ORIENTATION. Enabling Legislation National and Community Service Trust Act of 1993. Official BFUG Bologna Seminar ENHANCING EUROPEAN EMPLOYABILITY July 2006 University of Wales Swansea. 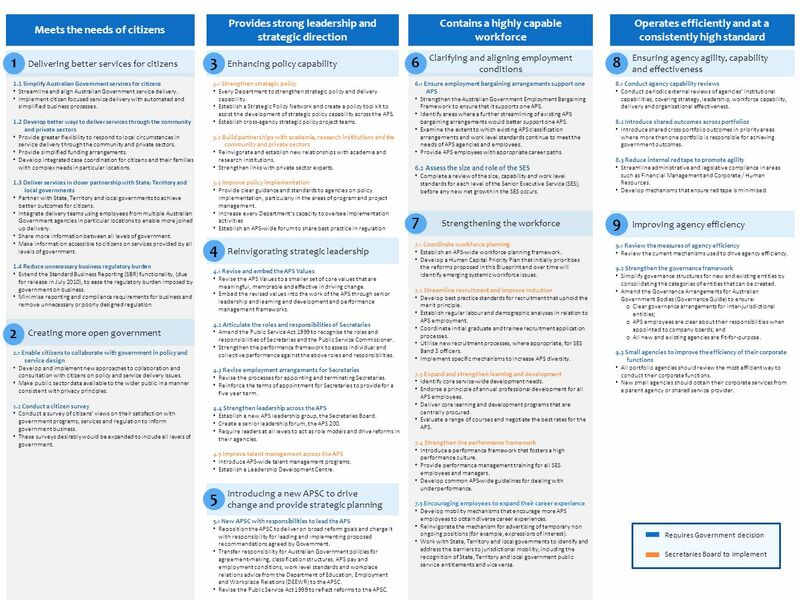 NSW DEPARTMENT OF EDUCATION AND COMMUNITIES – UNIT/DIRECTORATE NAME NSW Public Sector Capability Framework and Your Performance Agreement.  APS Performance Management Diagnostic Tool People Management Network 1. 1 Strengthening the Commonwealth Performance Framework Stein Helgeby Deputy Secretary Governance and Resource Management Department of Finance. Organisational Issues in Sovereign Debt Management Peter McCray Deputy Chief Executive Australian Office of Financial Management. Facilities Management 2013 Manager Enrichment Program U.Va.’s Strategic Planning Initiatives Colette Sheehy Vice President for Management and Budget December. Shaping the future of palliative care leadership: taking the reins Deborah Law Program Manager Workforce Innovation and Reform Health Workforce Australia. Equal Opportunity for Women in the Workplace Agency Current and Future State CSA National Conference 6 th December 2011 Heather Gordon Education Manager.